Can a Behavior Be Bad Without Being a Sin? I hear constantly, “Well, that’s probably not a good thing to do, but it’s not a sin.” Or even, “That might be a bad thing to do, but I wouldn’t go so far as to say it is a sin.” It is very interesting to hear people talk this way and I wonder if we have any idea what we’re saying. I wonder, do we really know what it means to “sin”? 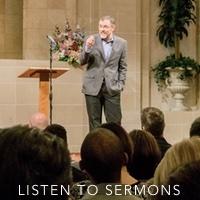 To sin literally means, “to miss the mark.” So, when a person says a behavior is, “not good” or even, “bad,” but is still not a “sin,” what they are literally saying is something like, “Well, that last shot didn’t hit the bullseye, but it didn’t miss it either.” If someone said that to you, you would likely look at them like they lost their mind. If someone shot an arrow, threw a dart, or shot a gun, they either hit the bullseye or they didn’t; there is no other option. Likewise, we have either behaved PERFECTLY or we have SINNED; there is no middle ground. God tells His children to be “holy” (1 Peter 1:15-16). Anything less than perfect holiness is sin. Paul told the Romans, “Whatever does not proceed from faith is sin” (Romans 14:23). James wrote, “Whoever knows the right thing to do and fails to do it, for him it is sin” (James 4:17). “Sin” is not some special category of bad behavior; it is anything short of perfect holiness. 2. Can we hit the bullseye? – Yes! In fact, Jesus proved that the bullseye could be hit every day of a man’s life. He lived a completely sinless life (Hebrews 4:15), giving us an example to follow (1 Peter 2:21; 1 John 2:6). 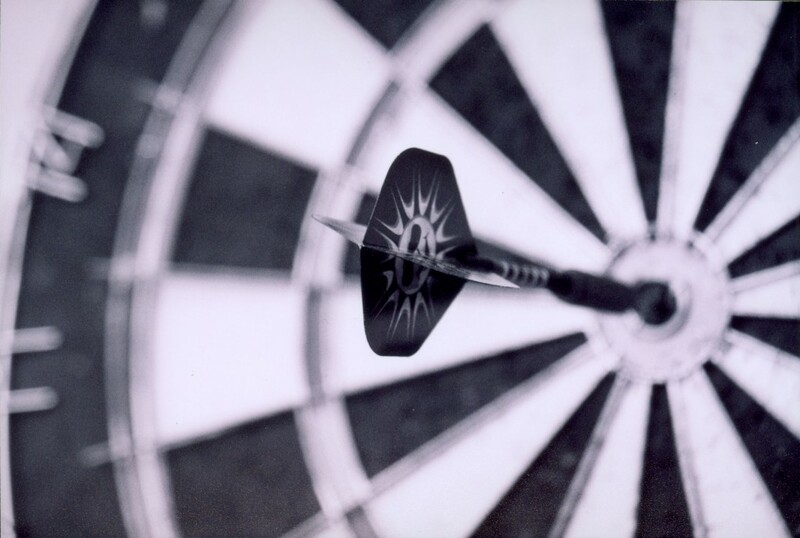 Hitting the bullseye might not be easy, but it is possible. 3. Have we hit the bullseye? – No! Although perfect holiness is possible, we have all missed the mark. Romans 3:23 says, “All have sinned and fall short of the glory of God.” Knowing that God has set a bullseye before us and that He has given us every thing necessary to hit it, but that you and I have chosen to miss the mark should fill us with an overwhelming sense of sorrow and remorse. We should be like “the tax collector, standing far off, would not even lift up his eyes to heaven, but beat his breast, saying, ‘God, be merciful to me, a sinner'” (Luke 18:13)! Instead (like the Pharisee in the same parable), we often minimize our behavior and say things like, “Oh that’s not really a sin.” How arrogant we can be! When we minimize sin, we minimize grace. When make sin out to be some special category of bad behavior, instead of any behavior short of perfect holiness, we cheapen the grace of God. If we were simply “pretty good people,” we might think we were only moderately in need of grace. But, when we realize our behavior made us “enemies” of God (Romans 5:10), then we realize we are desperately – not moderately – in need of grace! Romans 6:23 says, “For the wages of sin is death, but the free gift of God is eternal life in Christ Jesus our Lord.” We deserve punishment, but through Christ we have the opportunity to receive mercy (read the whole chapter of Romans 6 to find out when we receive that mercy). If we say we have fellowship with him while we walk in darkness, we lie and do not practice the truth. But if we walk in the light, as he is in the light, we have fellowship with one another, and the blood of Jesus his Son cleanses us from all sin. If we say we have no sin, we deceive ourselves, and the truth is not in us. If we confess our sins, he is faithful and just to forgive us our sins and to cleanse us from all unrighteousness. If we say we have not sinned, we make him a liar, and his word is not in us. My little children, I am writing these things to you so that you may not sin. But if anyone does sin, we have an advocate with the Father, Jesus Christ the righteous. He is the propitiation for our sins, and not for ours only but also for the sins of the whole world. And by this we know that we have come to know him, if we keep his commandments. Whoever says “I know him” but does not keep his commandments is a liar, and the truth is not in him, but whoever keeps his word, in him truly the love of God is perfected. By this we may know that we are in him: whoever says he abides in him ought to walk in the same way in which he walked.